Joe Dorish Sports: How Much Money is a 2018 Winter Olympic Gold Medal Worth? How Much Money is a 2018 Winter Olympic Gold Medal Worth? The 2018 Winter Olympics are taking place this month from February 8-25, 2018, in Pyeongchang, South Korea. Do you know how much money a 2018 Winter Olympic gold medal is worth? 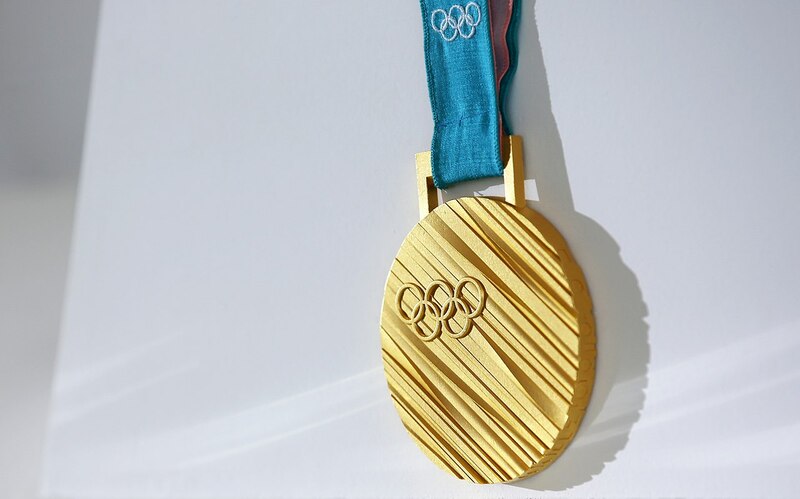 Each gold medal at the 2018 Winter Olympics will weigh 586 grams which is up 17.2% over the 500 grams each gold medal weighed at the 2016 Summer Olympics. If each gold medal was actually solid gold then each medal would be worth $27,870. But the gold medals are only 6 ounces of plated gold with the rest of the medal being made from silver. So here is the actual melt money value of a 2018 Winter Olympics gold medal. Each 2018 Winter Olympic gold medal has a melt value of $611. Each gold medal actually contains 6 grams of gold which is worth $264. The rest of the medal is 580 grams of silver which is worth $347. Add those two together and we get $611. The gold medals given out for the 2016 Summer Olympics in Rio were of inferior quality to the 2018 Winter Olympic gold medals. In Rio, the gold medals were smaller and were made using only 95.5% pure silver vs the 99.9% pure silver used for the 2018 Winter Olympic gold medals. Of course the melt value of a gold medal is just the tip of the iceberg in terms of how much a gold medal is really worth. Most countries pay their athletes with real money for winning a gold medal. How much does the United States pay its Olympic athletes for a gold medal? Athletes can also earn advertising and endorsement money once they have won a gold medal. For some, they will earn enough money from advertising and endorsement deals they will never have to work another day in their lives unless they want to. Most gold medal winners will not be so lucky.